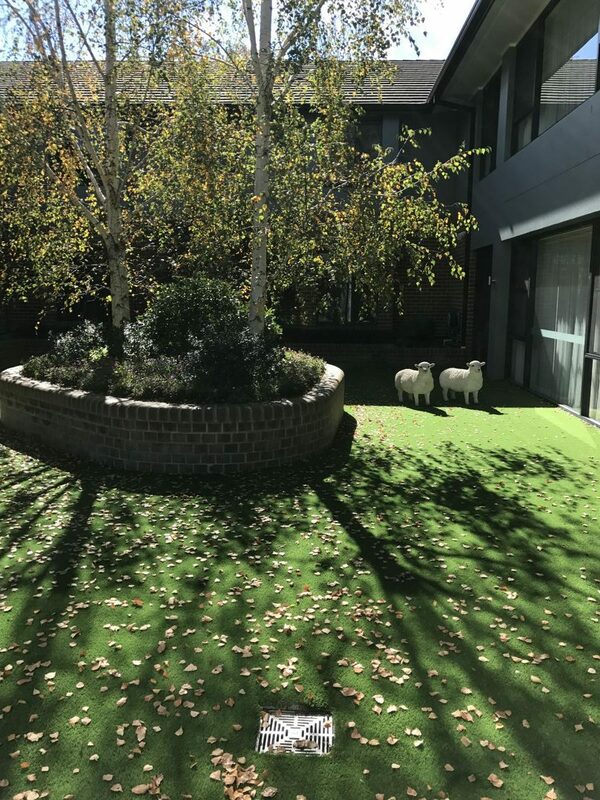 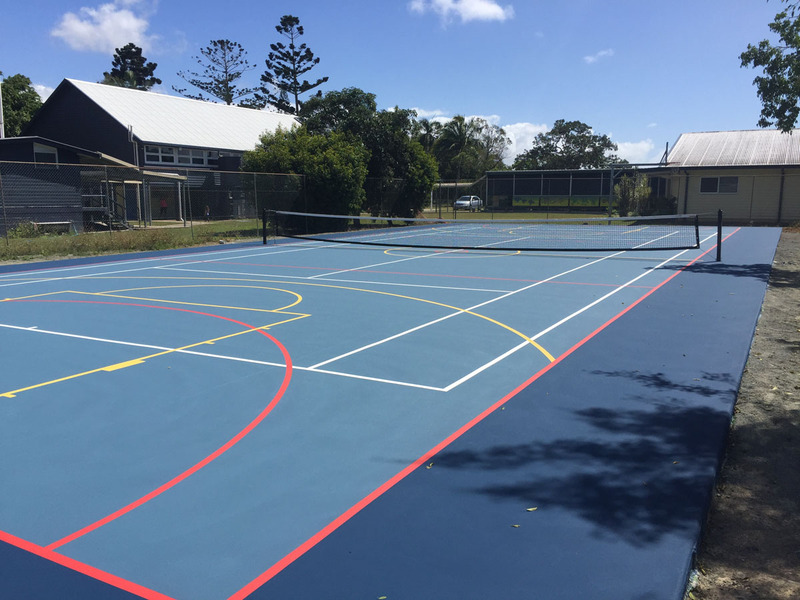 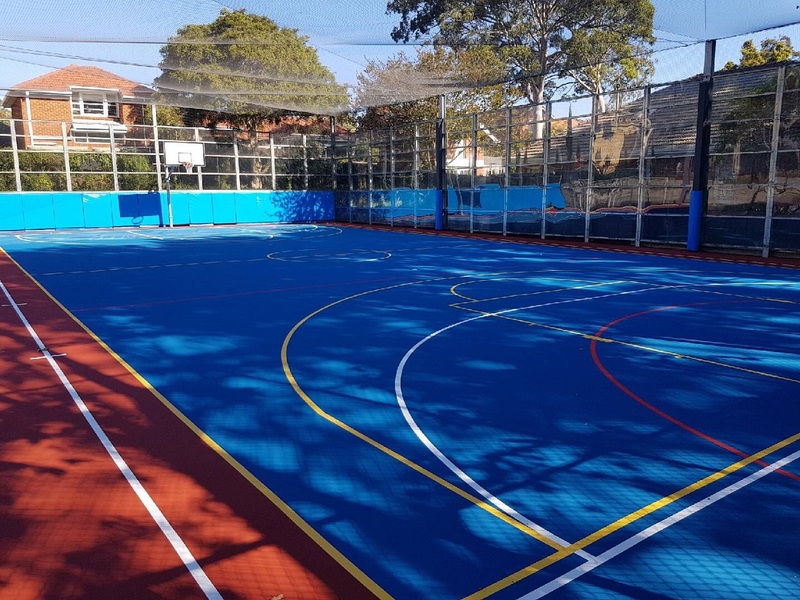 Here are just a few of the many projects Dynamic Sports Facilities has completed for community groups, government organisations and sporting associations. 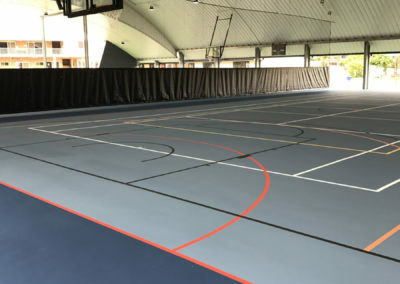 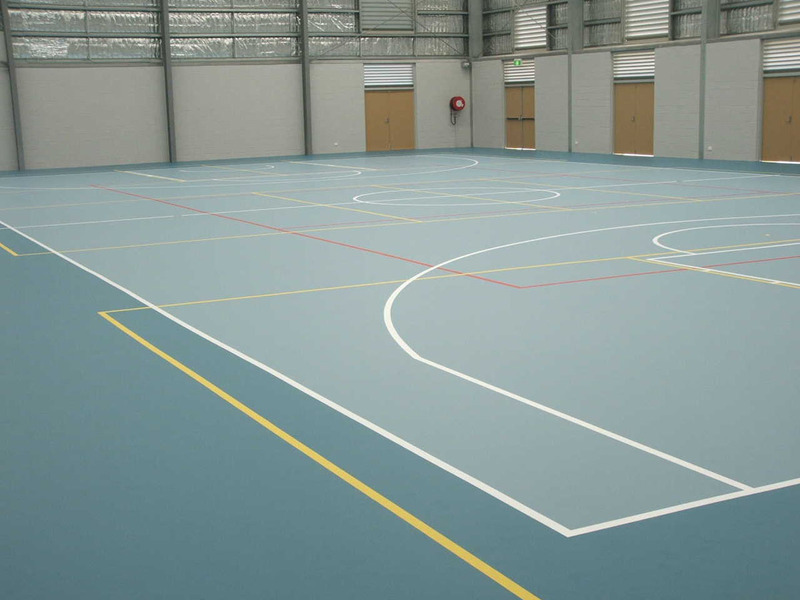 Indoor multi-sport facility in a cushioned impact acrylic system finished in Alpine Blue play area with Colbalt blue surrounds. 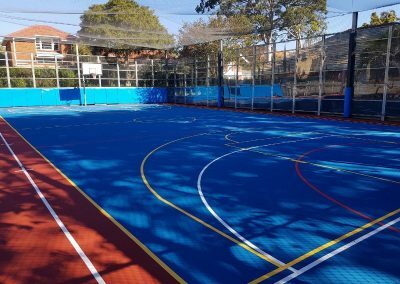 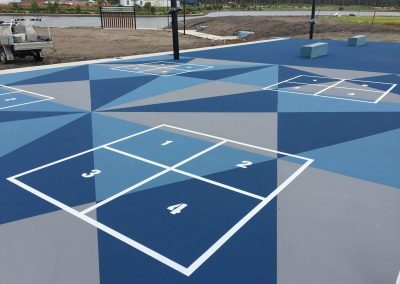 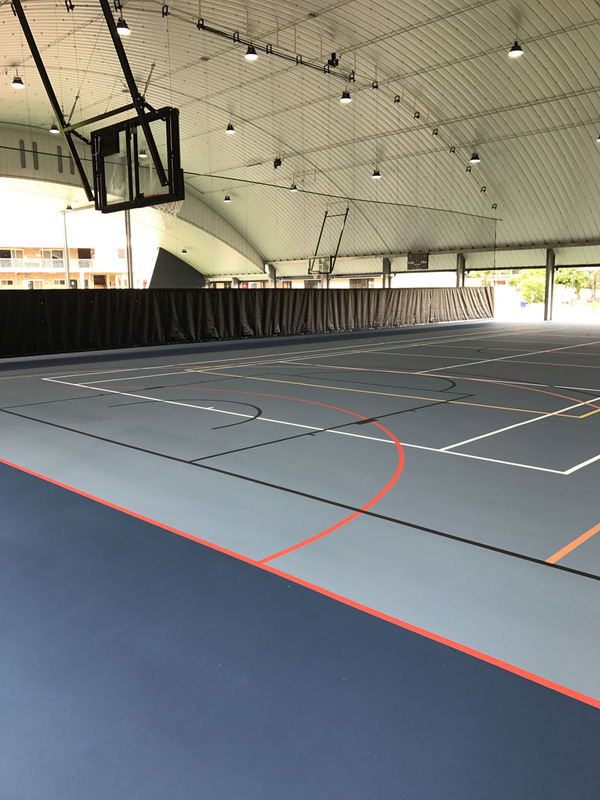 Multi-sport court finished in a cushioned acrylic paint system with Impact Ultra Dark blue play area and Ultra Royal Blue surrounds. 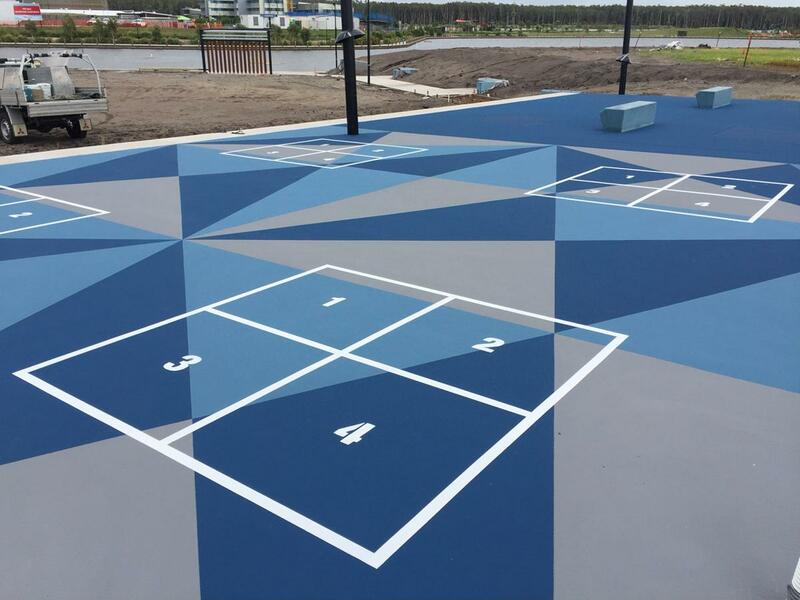 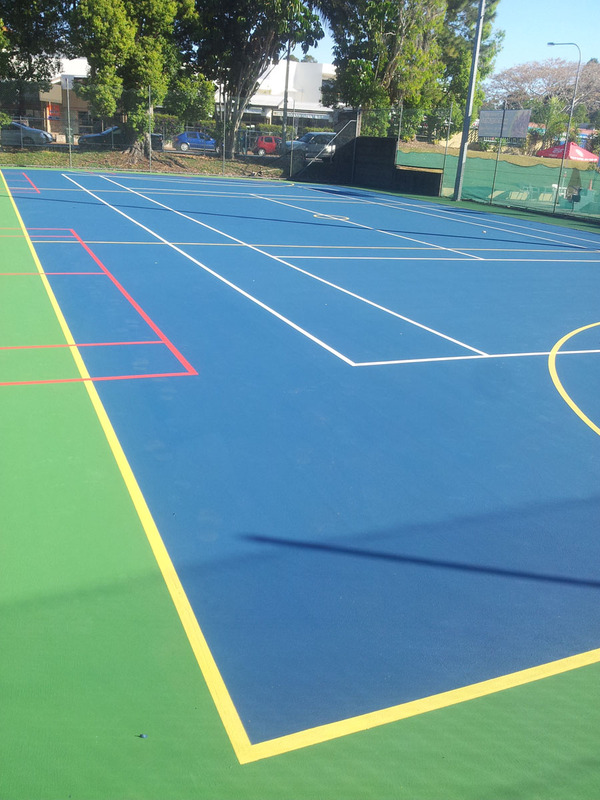 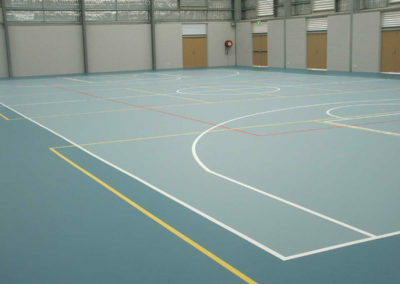 Mult-sport court in a acrylic paint system finished in Dark Blue court with Royal Blue surrounds. 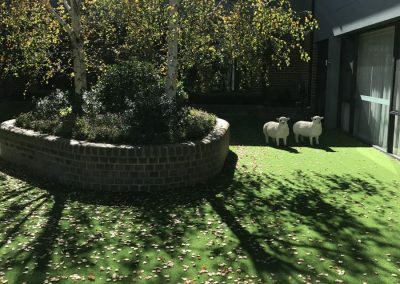 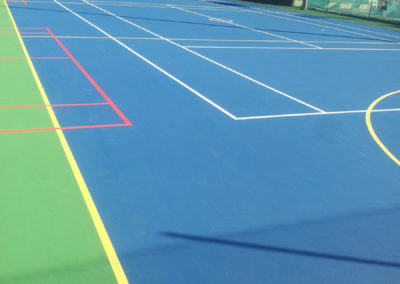 Multi-sport court in acrylic paint system finished in Grass Green with Moss Green surrounds. 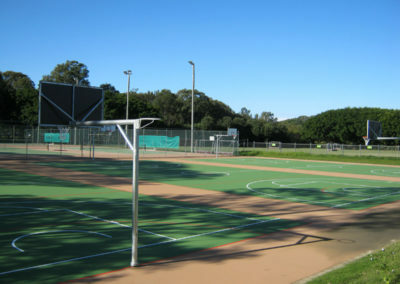 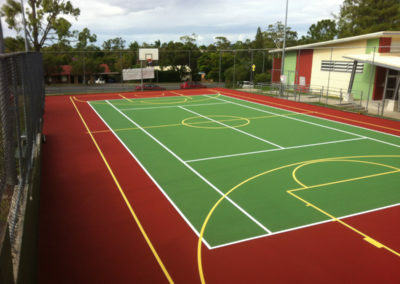 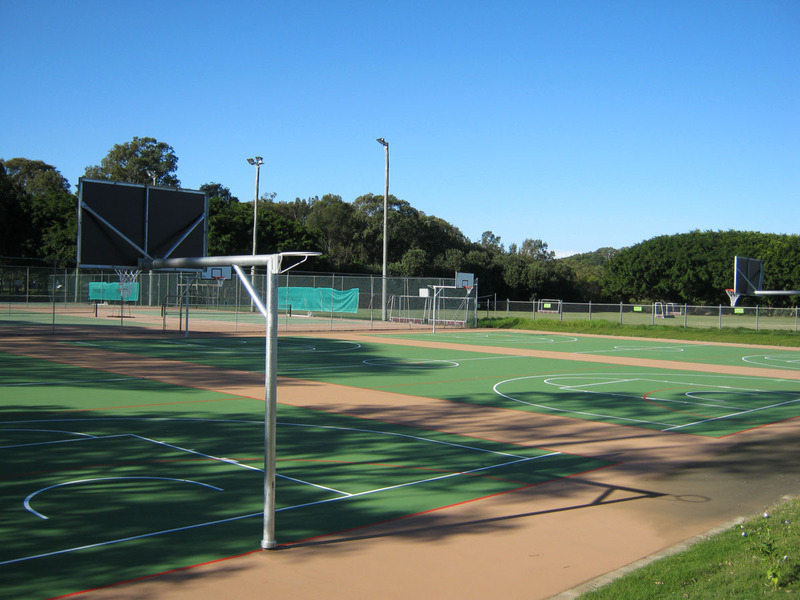 Basketball courts in acrylic paint system finished in Grass Green with Tan surrounds. 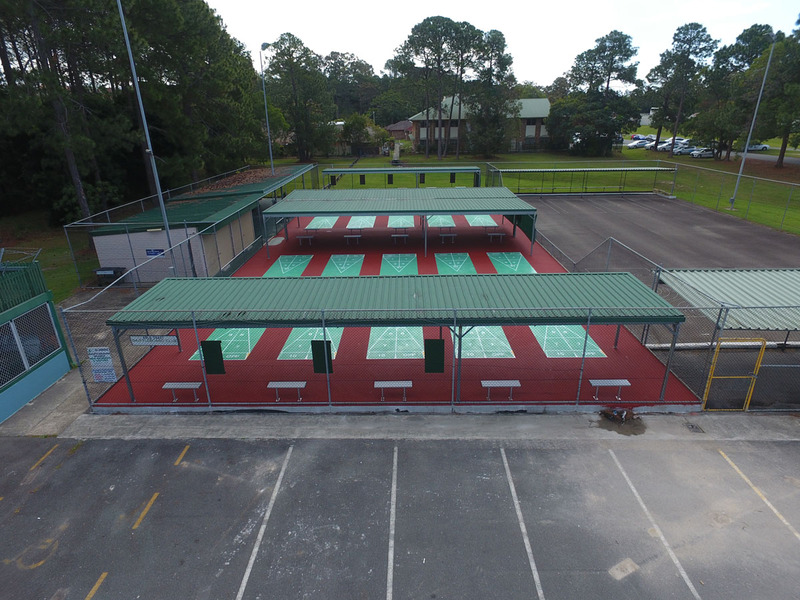 Multi-sport courts in acrylic paint system finished with Grass Green and Terracotta surrounds. 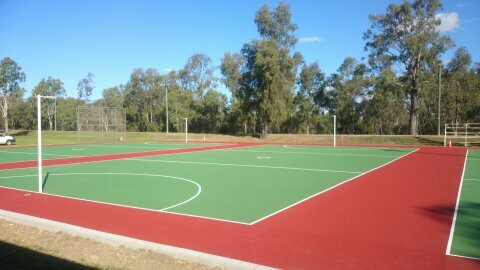 Multi-sport court with acrylic paint system finished with Royal Blue play area with Grass Green surrounds. 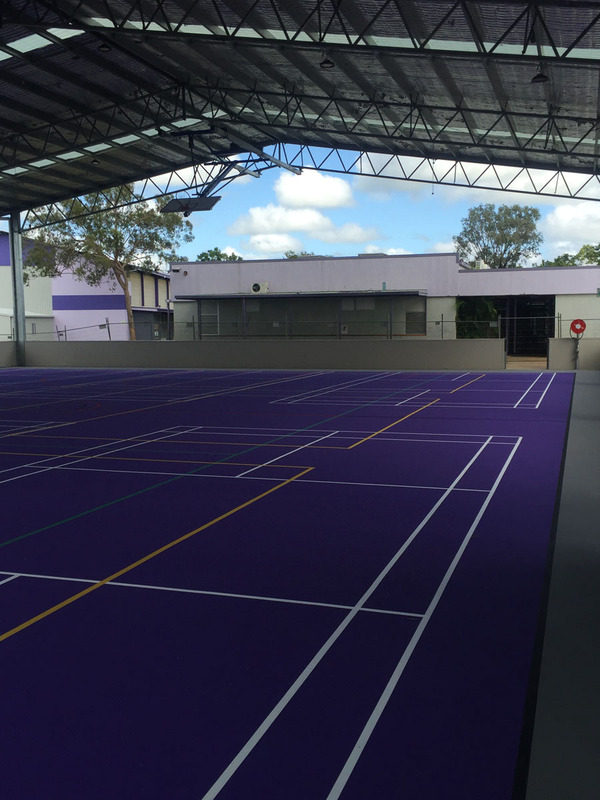 Multi-sport facility in acrylic paint system, finished with Tour Purple and Mid Grey surrounds. 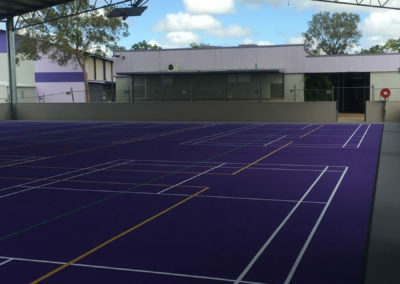 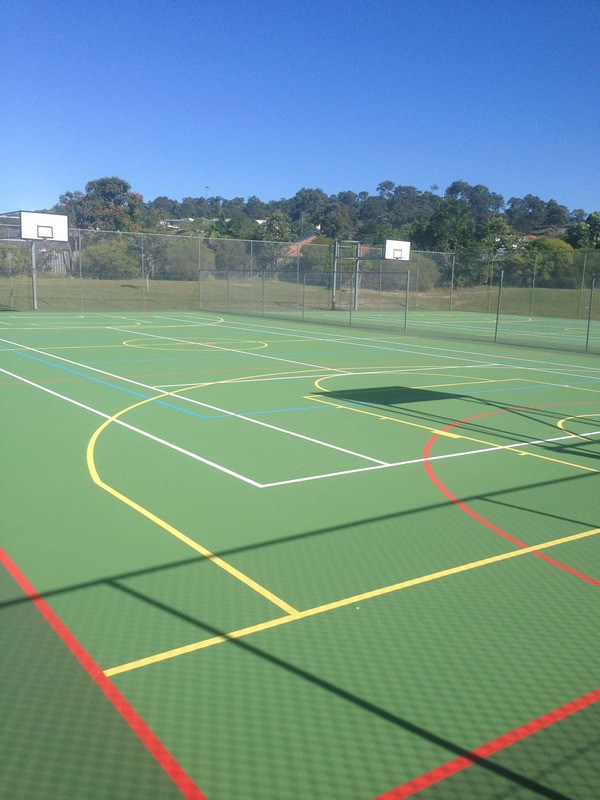 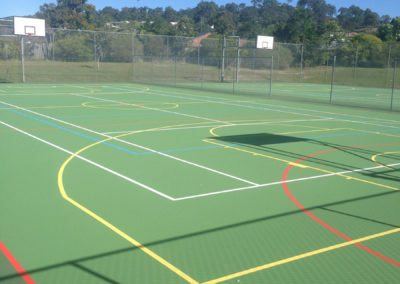 Netball courts in acrylic paint system finished with Grass Green with Terracotta surrounds. 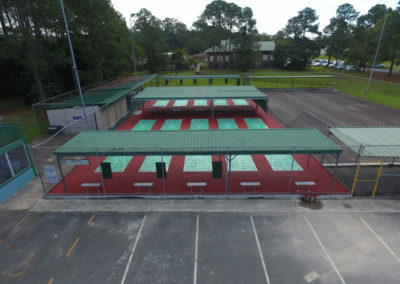 Shuffleboard courts in acrylic paint system finished in Dark Green with Terracotta surrounds.